Well-known with over 5,400 pressure screens installed in numerous stock preparation lines worldwide, ANDRITZ presents the latest evolution in screening – the PrimeScreen X screen. The innovative design of the new screen builds on the successes of the widely valued ModuScreen family, but offers innovative key benefits. Improvements in energy efficiency, screening performance, and maintainability are significant. "Focusing on customers’ needs and market demands whilst benefitting from our long-term know-how in screening, the PrimeScreen X passed through all stages of product development – from the initial engineering design to prototyping and two years of mill testing – in most demanding OCC applications." Top-feed inlet of stock. The design takes advantage of gravity to quickly remove heavy contaminants. 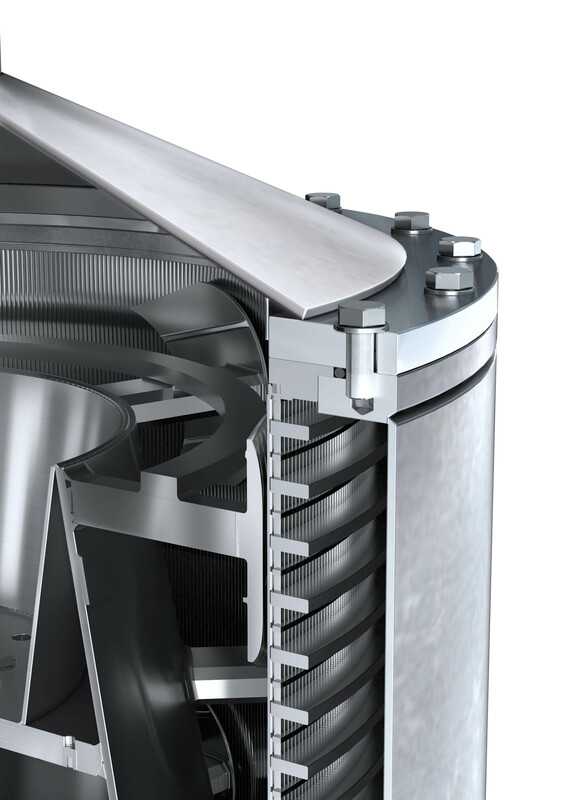 With this top-down design, abrasive contaminants that cause wear on the rotor and screen basket do not have an opportunity to flow upwards through the entire screen. 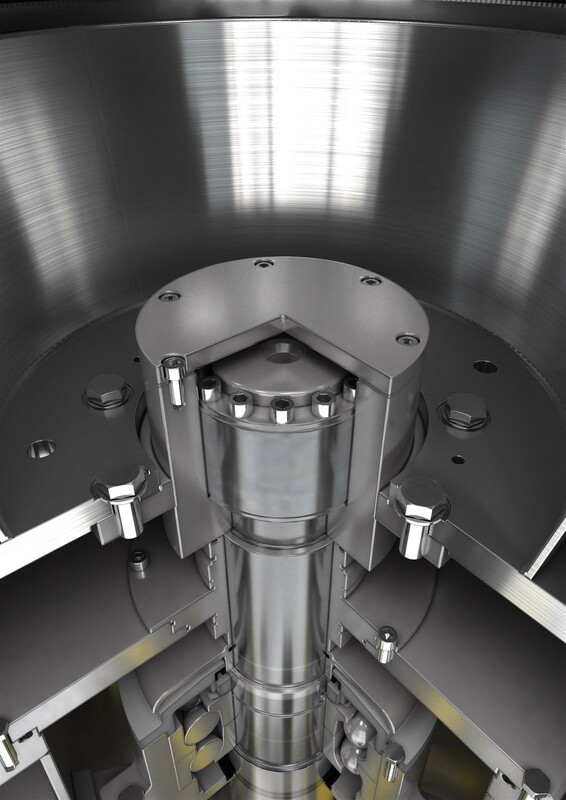 Top-down also improves the removal of light rejects, preventing their accumulation in the feed area and extending the life of wear components. PrimeRotor rotor and foils for increased efficiency and lower power consumption. The screen can be equipped with the new ANDRITZ PrimeRotor, which improves screening efficiency and reduces energy consumption by up to 25%. The PrimeRotor foils are interchangeable with any other ANDRITZ foils and the rotor could be installed in any screen type available on the market. Easier maintenance. Changing baskets and rotors is a time-consuming work. 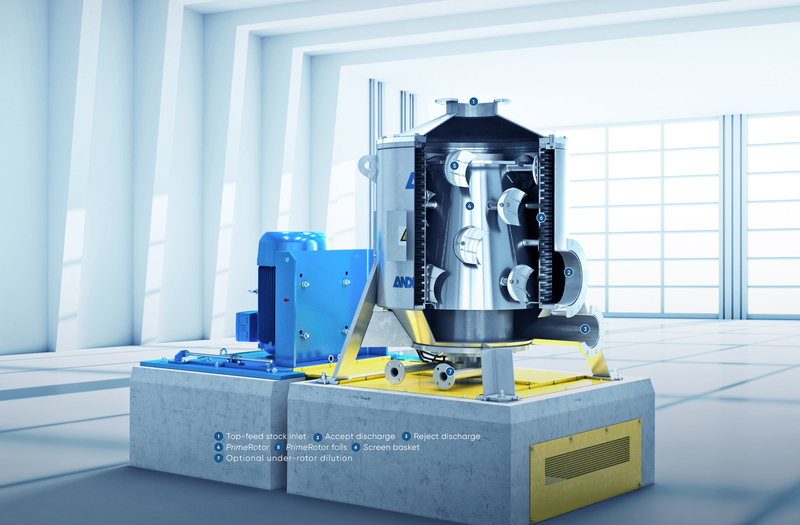 The ANDRITZ PrimeScreen X uses a uniquely designed drive flange to connect the rotor to the hub so maintenance or replacement is quick and easy. The innovative clamping system to fix the screen basket allows for faster changes. Optimized screen basket height-to-diameter ratios. The ANDRITZ PrimeScreen X is designed so that the optimized screen basket height-to-diameter ratios comply with the requirements of different furnishes and applications. This helps to reduce the thickening factors and leads to better control of fiber loss as well as to reduced potential for plugging. The PrimeScreen X is ideal all coarse and fine screening applications, including broke and thick stock, regardless of the raw materials. Excellent fiber processing for all paper and board grades.